DAVID WILLIAMS is Chairman and Chief Executive Officer of Merkle, the largest and fastest growing privately held customer relationship marketing agency in the United States. He acquired Merkle in 1988 and became its twenty-fourth employee. Today, Merkle has more than 2,000 employees in locations in the United States, China, and United Kingdom. Under David’s leadership, Merkle has sustained greater than 20 percent annual growth over the past 25 years and was recognized as a market leader by Forrester Research. In 2013, Advertising Age ranked Merkle as the twenty-second largest agency of any discipline worldwide and the seventh largest CRM/Direct agency in the United States. In 2012, Merkle was named to the “Ten Agencies to Watch” list in Advertising Age’s A-List Issue. David was recognized by Winning Workplaces and Fortune magazine as one of America’s Best Bosses of 2006, and was the 2007 Maryland Ernst & Young Entrepreneur of the Year. David is a frequent speaker at industry events and has written numerous articles and white papers about topics such as Customer Relationship Marketing, Database Marketing and Analytics, Digital Media, and Marketing Technology. 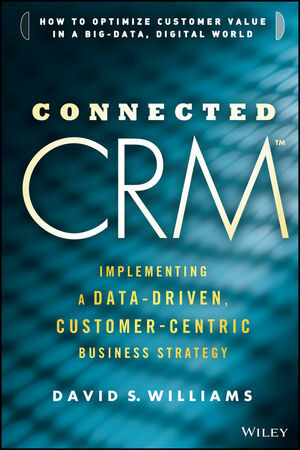 David can be reached at davidwilliams@connectedcrm.com.